In a time of misinformation, the role of the public scholar is important to counter fiction with facts. Scientific inquiry, the methodical process of investigating phenomena, is a skill that takes many years to develop. Despite the political rhetoric, a great number of academicians are interested in helping to inform and create meaningful policy. On April 22, 2017, the March for Science group sought to build a powerful, international, interdisciplinary movement to: strengthen the role of science in policymaking, improve science research and communication, advance science education and scientific literacy, and foster a diverse and inclusive scientific community. Similarly, the Women’s March, which happened the day after inauguration, thousands of women marched and organized to combat the falsehoods that threaten the very existence of their personhood and livelihood. The deception of the current administration is unprecedented. Therefore, an appropriate response, in my judgment, requires scholars to be at the forefront of policy discussions, inform policy decisions and engage with the public. To be honest, the impetus to do this work is not for everyone. There are academicians who are happy to sit in the ivory tower, do research and publish papers for their colleagues. Oftentimes, these scholars are chastised because their research is esoteric or not palatable for the layperson due to its sophisticated jargon and use of six syllable words like epistemology. Let me be clear, there is absolutely nothing wrong with this position nor does it assume that ivory tower professors do not engage in other aspects of their life. It does, however, underscore the values and preferences of many institutions of higher education that prioritize conducting research and securing funding, rather than engaging in tedious interactions with lawmakers and the public, especially if those interactions do not lead to a scholarly endeavor or publishable article (in a top-tier journal). On the other hand, there are scholars who are very much interested in bridging the gap that exists between theory and practice. Scholar interactions with lawmakers could consist of offering the landscape of current research related to issues including healthcare costs, education outcomes, or an environmental analysis of alternative energy versus fossil fuels. Scholar engagement with citizens could be related to awareness campaigns designed to help navigate government agencies, access government services or teach community members how to test their water for lead. These types of interactions minimize the distance between universities and residents, increase trust and demonstrate a commitment to the community in which it inhabits. To reiterate, this work is valuable and needed, but also does not fall into the traditional rewards system most tenure and promotion committees operate within. Therefore, the disincentives outweigh the benefits. Traditional criteria for tenure and promotion, at most colleges and universities in the United States, are for professors to have a strong publication record, good teaching evaluations and engagement in service to their respective department, university, and overall the discipline. Most other types of engagement, including community grounded service, receive a duly noted nod, which is simply an acknowledgement of outside activity, but in no way significantly counts toward professional advancement. This reality is disheartening for many academics, particularly those who are deeply motivated by the need to serve as activists and advocates for the most vulnerable. 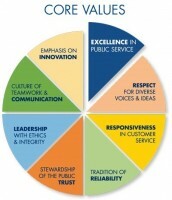 To communicate and interact productively with a diverse and changing workforce and citizenry. Accredited public policy, affairs and administration programs are preparing the next generation of public administrators and are tasked by NASPAA to provide these future administrators with an awareness of their role in policy making, service delivery, and engagement with stakeholders. The ASPA Code of Ethics reinforces these ideals and suggest that professionals advance the public interest, uphold the Constitution and law, and promote democratic participation. Ironically, many of the accredited programs do not encourage faculty be similarly engaged. How can public administration, as a field, be responsible for preparing the next generation of public administrators without empowering and rewarding scholars to be similarly engaged? It is not my intention to overgeneralize. 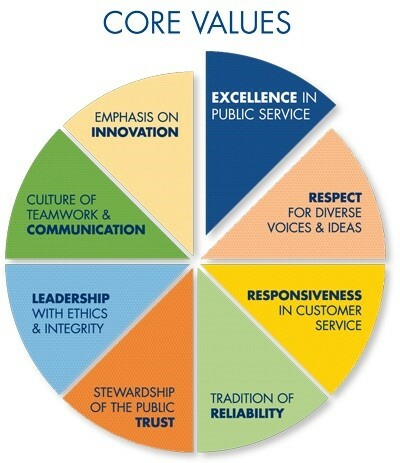 However, public administration specifically does a good job of talking the talk, but not always walking the walk. For example, hegemony is still the status quo and social equity is still not as valued as effectiveness and efficiency. We need to reconcile the disconnect between the rhetoric of the profession and the reality of its practice, particularly in an era of “alternative facts” and complete falsehoods. The basic tenets of the profession situates the field in the crosshairs of meaningful engagement or willful complicity.